by Louis J. Billera, at al. 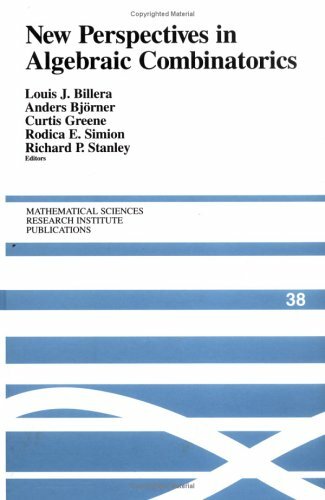 The rich combinatorial problems arising from the study of various algebraic structures are the subject of this book, which contains expository contributions by some of the most respected researchers in the field. It will present the state of the art to graduate students and researchers in combinatorics as well as algebra, geometry, and topology. Contents: Walks in graphs; Cubes and the Radon transform; Random walks; The Sperner property; Group actions on boolean algebras; Young diagrams and q-binomial coefficients; Enumeration under group action; A glimpse of Young tableaux; etc.